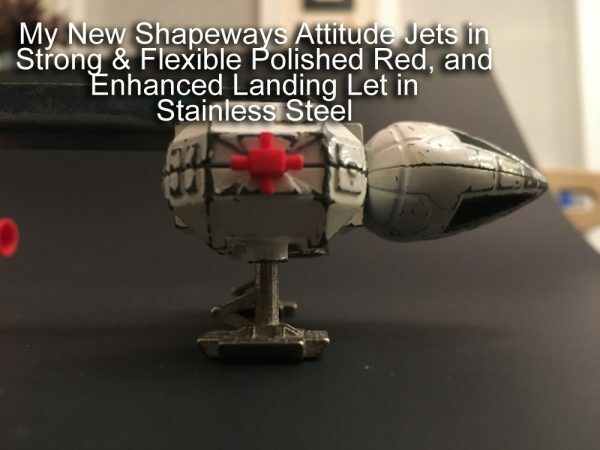 New Shapeways Dinky Eagle Restoration Project! 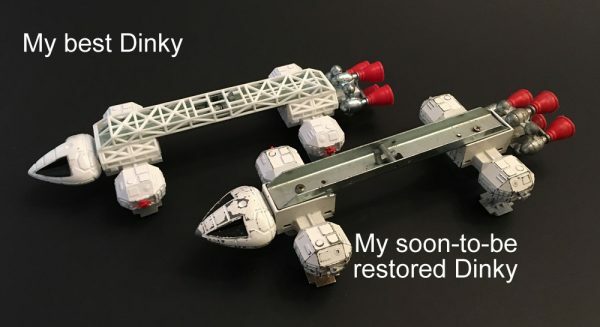 Announcing the first wave of my new Dinky Space 1999 Eagle Restoration/Repair Project! I restored a Dinky a few months ago. 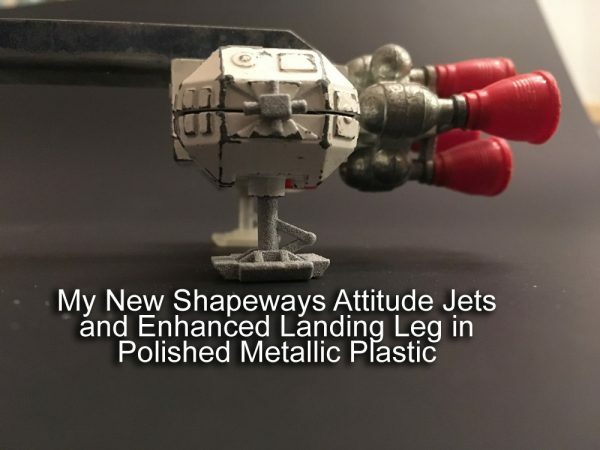 I ordered some side attitude jets on eBay and they were very nice. 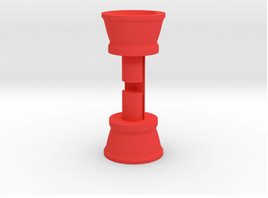 But I was thinking I could make my own, and make them available on Shapeways. 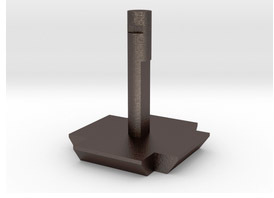 And for that matter, any part I wanted to restore, I could make myself and print it at Shapeways. 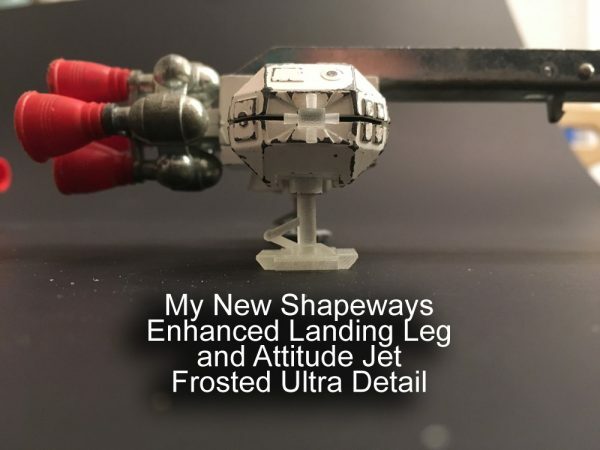 As of today, since my package of test prints has returned, and I have pushed all of the parts onto a Dinky Eagle I’m about to restore, I thought it would be a good time to announce to the collecting community that these are now purchasable on My Shapeways Store. I started with the Attitude jets. 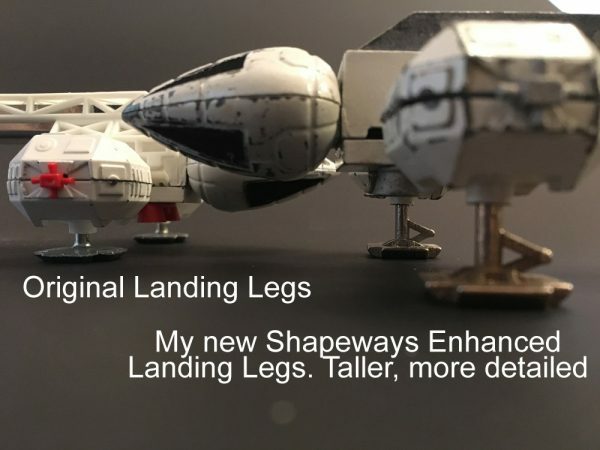 Mine are modeled in the same way as the originals, except the rocket bells are not half-cylinders, they are fully round. They come on a tree as a four-pack. You need only buy one item to get all four. 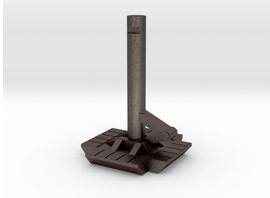 They are availble in white, red, yellow, silver, frosted, and raw aluminum. 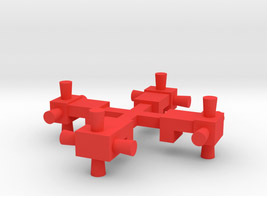 The original Dinky Retro Jets are paired with a connecting object that has no basis in reality. I decided to make these retro jets individual, which is far more accurate. Also, I was thinking about how short and stubby the Dinky Eagle’s legs were, and how they were lacking fundamental detail. I opted to lengthen the legs to a more correct height, and add detail to the foot, and the hinged “heel” at the back. They are available in white, metallic silver plastic, frosted plastic, stainless steel and polished nickel steel. Stainless Steel is my favorite of these. Frosted Ultra Detail seems a bit brittle and might break easier in play. The Strong & Flexible might take some doing to break. Since this all really started with this Eagle I’m restoring having only 3 legs, I first modeled a leg after the original. These are also available. I have no pics but the connecting points are identical, so I am confident they will work fine. No pics, since I have not yet printed one for myself. Here are the prototypes I received today. There are other variations of each. See details on the individual items’ pages. 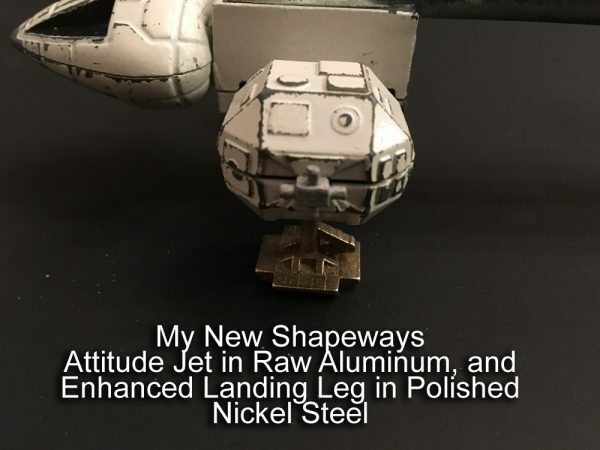 Enhanced Spine that replaces the existing trough on the Dinky, and adds greebling underneath where it will screw onto the Eagle. Probably only in metals, which will be prohibitively expensive for most, but nice to have anyway. Replacement Main Engine Bells with Baffles. So Carol and I went to Stonehenge. We took many pictures. One Carol took will be huge on our wall soon. I spent my time taking 3D stereo pictures. My intent is to put together a good sized coffee table book of side-by-side cross-eye 3D images from the monument.